There are hundreds of money apps available, but very few of them allows users to earn passive income. One of them is called Slidejoy! In in this review, I would like to explain how you can make money using the Slidejoy app and give you my honest opinion about it. You may also want to check out my story on how I achieved $1,000/mo online and how you can do the same! (no special skills required). 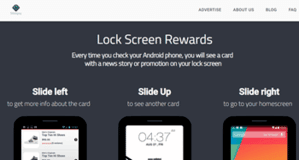 Slidejoy is a simple yet innovative app that allows you to get paid to see news and promotions on your lock screen. Not only that but you can also earn extra points by playing scratch games, watching videos, completing offers, taking surveys and more! So, we can say Slidejoy is a GPT (get paid to) app like many other platforms out there. The main difference is that it also accumulates points every time you unlock the screen of your phone, which is pretty much passive. Another app that allows you to earn passive income is InCompass. It’s an effortless way to make money (passive). You can make more money by completing offers and surveys. The app consumes internet data when showing ads and content. Slidejoy is currently only available for Android devices. 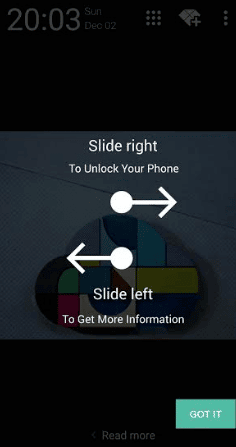 Visit the Google Play, search for Slidejoy and install the app completely for free! The next step is to sign up with your email address and click on the confirmation link. You are given two modes to choose from: The Hero Mode and the Normal Mode. In the normal mode, you can redeem your points for Paypal, gift cards or donations. As for the Hero Mode, all your earnings will be donated to charity every month automatically. Slidejoy will give you points called Carats that accumulate over time as you use the app. 1,000 Carats is worth USD 1. You will get 200 Carats just for signing up. Every time you turn on your phone, you will see an ad on your screen. You can slide right to unlock your phone, slide left to visit the website or the app that is being promoted, or slide up to see more content. How to Earn More Carats? Many people assume that by constantly locking and unlock their phone they will earn more Carats, but that’s not true. According to the Slidejoy’s FAQ, their algorithm maximises your earnings when you use your phone normally. There is no need to slide through more ads. Moreover, you will not earn more carats by sliding left and engaging with the ad. So, how can you earn more? Well, Slidejoy has partnered with third-party providers (offerwalls) so you can participate in offers, take surveys and play scratch games. The current offerwalls available are TrialPay, Fyber, Adscend Media and Peanut Labs. You can also earn more points for referring friends, as well as connecting Slidejoy to your Facebook account. When you refer a person to join Slidejoy, you will get 100 Carats for every 500 Carats that your referral receives. Unless you are a digital influencer or has a review website with a massive audience, you won’t earn much by referring a couple of friends. According to the company, there is no average you can expect to earn because it depends on how much revenue they are generating with advertising. However, after a bit of research, I discovered some people earn only $1 per month. That is not much considering the significant number of ads people see on a daily basis. 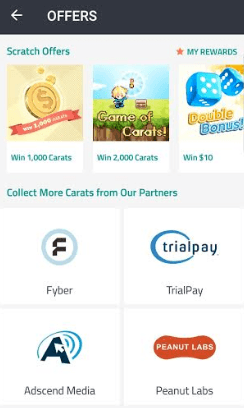 It’s possible to redeem your Carat points for Paypal once you have earned at least $2 (2,040 carats). There are many gift cards to chose from, and each one has a different minimum payout requirement depending on your country. Slidejoy is a legit app, but there is not much money to be made. The only way to reach the cash out requirement faster is by taking surveys and completing offers. Otherwise, you will have to wait for months to receive your money or gift card! Many people get discouraged and uninstall the app, which is understandable. Personally, I find it quite annoying to see ads every time I unlock my phone. Not to mention the app is consuming internet data when showing ads, which can be a problem if you have a very limited monthly plan. You are probably trying different ways to make money online, but most of them don’t pay you enough so you can completely change your life. Well, I was in your shoes back in 2015, and I had no idea it was possible for the “average joe” to earn a full-time income online. Then, I discovered affiliate marketing and the possibility of earning unlimited commissions. The method is straightforward and doesn’t require any website coding or marketing skills. It`s all about creating a WordPress site, helping your audience through content, and promoting other people’s products as an affiliate. So, during the last 3 years, I have built a profitable internet business thanks to this great step by step program. Visit this page to check out my story and discover how you can also achieve remarkable results too! I highly recommend it to anyone who wants to achieve time and location freedom. I hope my Slidejoy review was helpful to you. If you have any questions, don’t hesitate to ask in the comment section below. Getting paid just to unlock your phone sounds almost too good to be true. If they paid out more money a lot of people would take would take of advantage that. I really enjoyed reading this site and the honesty you portray in your review. It’s great to read a bit about your gutsy risk to leave your Masters degree and pursue something you’re obviously passionate about. I wish you great success into your future.